We are sure there are more than one or two Show of Hands fans out there. After all, anyone who enjoys folk of the rock-heavy kind with a side of introspective political lyrics and powerhouse anthems are bound to have heard of these influential artists, especially through the very different folk scene in the 90’s. An important part of Show of Hands ethos is introducing new artists to the folk world, as well as giving them a little push and some encouraging words. Their efforts have helped bring wider public attention to artists such as Jackie Oates, Jim Causley and many others. With this in mind we turn to Miranda Sykes, except with Sykes we have a slightly different story. Where are we going with this? Well first of all, who is Miranda Sykes? 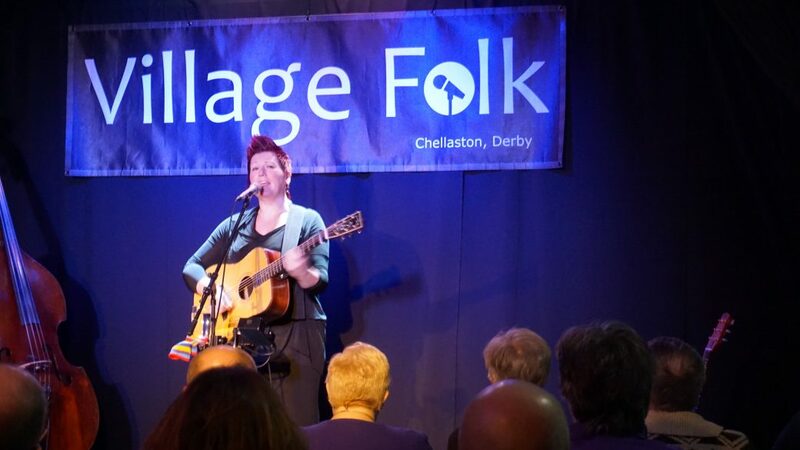 Miranda Sykes is an artist who has cut her teeth in a number of different lineups and bands be it with folk-rock band Pressgang, a folk and roots due with Rex Preston or as part of a group dedicated to playing workshops in care homes and hospitals. By 2002 she had joined Phil Beer with guitar and then on from that she joined Show of Hands with her impressive Double Bass and guitar skills. On stage she strikes as someone who works hard and has doubtlessly experienced many different interesting facets of the music scene. She certainly does not seem afraid to try new things. Sykes had a boost within the folk world from her turn in Show of Hands (she was a popular addition). She then turned her attention forward to solo work to see where her next steps lay. A couple of years ago Sykes took the plunge and toured with her “Borrowed Places” concept. Sykes described the album as “looking back” in the sense that it covers the geography of her youth, the rural Lincolnshire area and memories around this. We did not hear much of it ourselves but many that did describe it as a “beautiful”, “gentle” work. Having heard her rendition of the carol, “The Lily and the Rose” at a Show of Hands concert, we cannot endorse this sentiment any more strongly. So what now? http://folk-phenomena.co.uk/village-folk/. We therefore look forward to Sykes taking the stage. To start, let us say that Sykes has a lovely voice. Somewhere between cherry blossom and praline; Sykes is smooth, articulate and clear. This might not sound like saying much, but clarity of words could be considered like a commandment on one of Moses’ stone tablets to some folk fans. 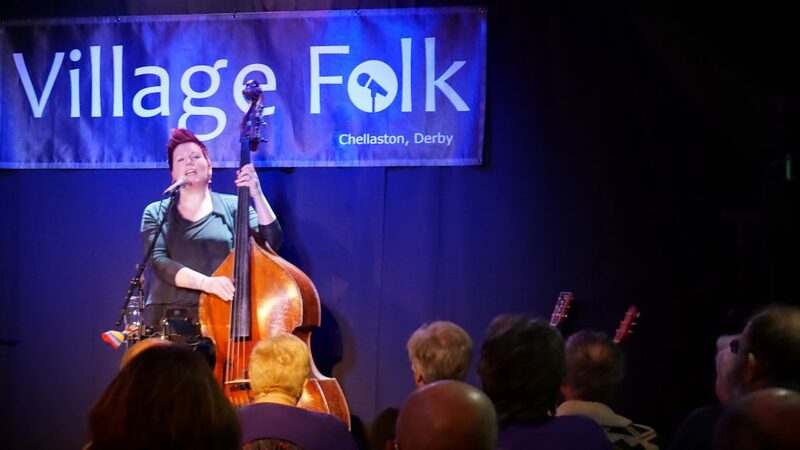 Sykes gives us more than ample chance to evaluate because on stage it is just her and the double bass (occasionally her guitar), and I don’t spot any foot pedal looping going on. “My Heart’s Where My House to Be” is an unaccompanied number that illustrates this with a loving gaze back and it’s title coming around and rousing the crowd more at each sing back. We are also fond of the song “Fishing”, a song which we see much of Sykes herself in. It is about the practicals, about the craft and the doing and also the fond memories come with doing what we do, here it is fishing of course. Images of the coral reefs, the making up of the line and the landscape flood the senses as Sykes describes a picturesque scene of nostalgia. Sykes gentle guitar is like the bright heart-beat of the sun, the lapping of the river shore, it is all bright and clear. Sykes also has some great call-outs to other folk artists as well. There is the still, sweet joy of friendship celebrated in her cover of “Sweet Peace” by Kerr & Fagan (which could be one of our new favourites). Capturing both voices in her hands Sykes shows the kindness of mind and heart with this selection, her voice like a delicate glass swan. There is also a cover of the bluesy “Running Out of Road” by Steve Tilston. 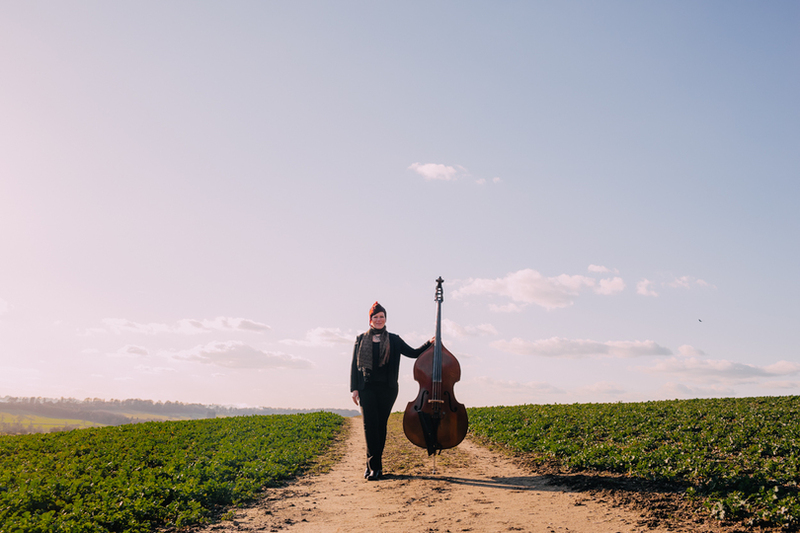 It’s inclusion is an inspired one as Sykes’ voice descends to the more haunting and bruised voice of the genre and it gives us a chance to continue to experience Sykes’ undisputed talent on Double Bass. Its always good to see someone with mastery of this epic instrument, its even better to hear an affecting number brilliantly sung alongside. There is a lot else to enjoy too. The most charged song that resonates with us is the song “Double or Quits.” It is a song that starts about a boy with an aerosol can and his criminality being laid bare, but the majesty in it all is it is an incredibly pointed song. Like a burglar treading softly in a wealthy home, Sykes’ is taking a crowbar to the floorboards and quietly exposing the riches within, or rather here it is the hypocrisy of sections of society. She points at the town planners closing down buildings at the expense of others, the police can take away the liberty and the high authority with their finger on the button of war and makes a case for the lack of proportionality for a crime committed. In terms of intrigue and political commentary, it is one of our favourite inclusions to the set and album, and Sykes’ performance gives a good powerful punch to the message. Overall it is a great evening. Miranda Sykes is one of those artists who appeals to the sensitive souls amongst us. Her songs call wistfully to other times and places and there is a layer of innocent joy amongst it all like marzipan on a birthday cake. As she works in the solo capacity, she has an eye for nature and people and is a treat to be in the presence of. We are very much enjoying her solo efforts so far, we look forward to hearing more in the future. 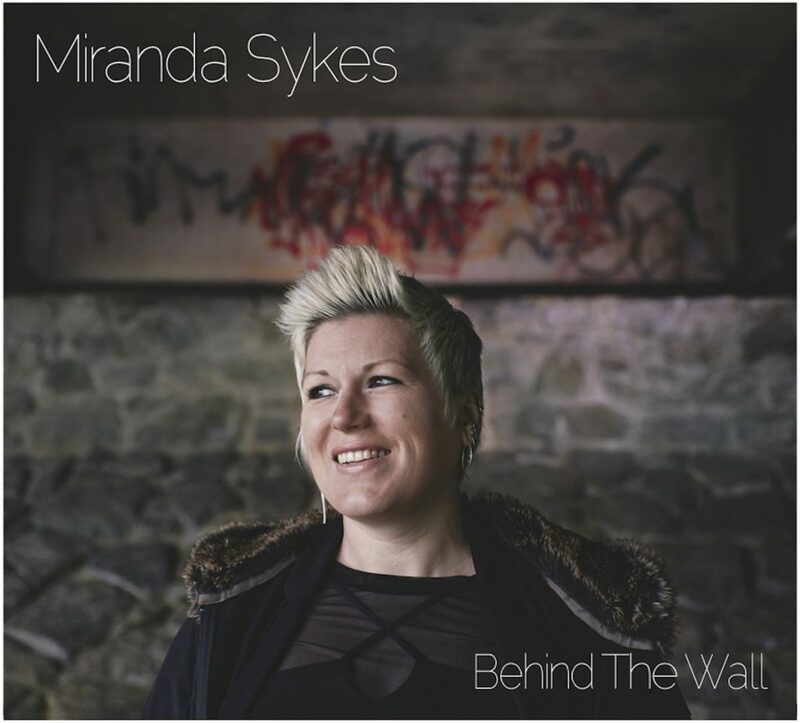 Miranda Sykes is on an extensive UK tour, check out details of her album and gig dates here. 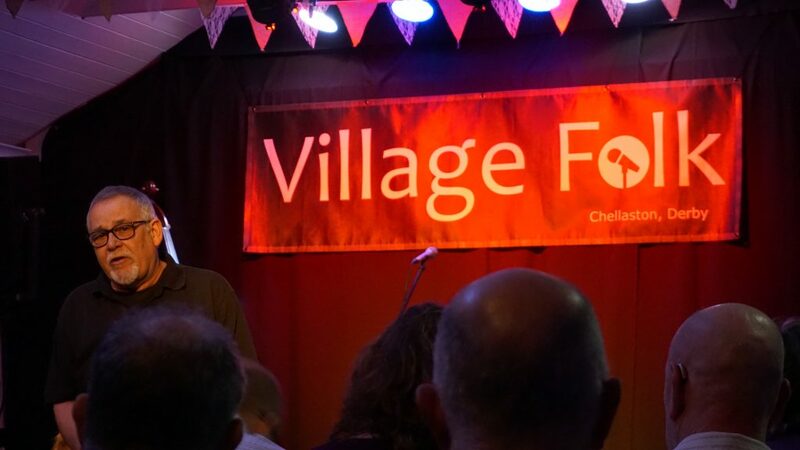 Also, check out the Village Folk website for their upcoming gigs at www.villagefolk.org.